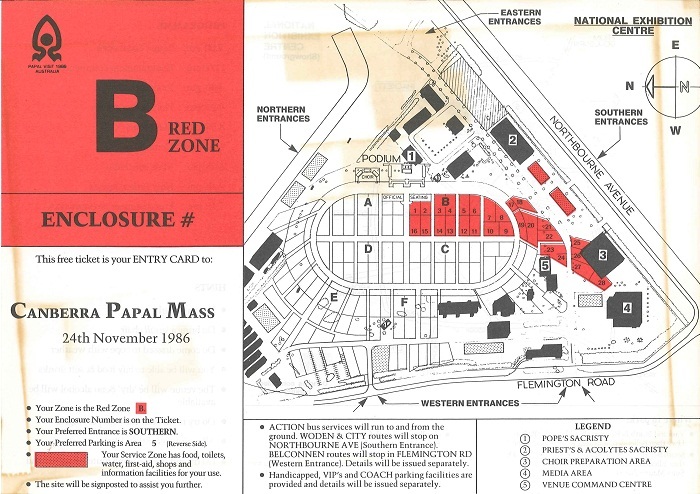 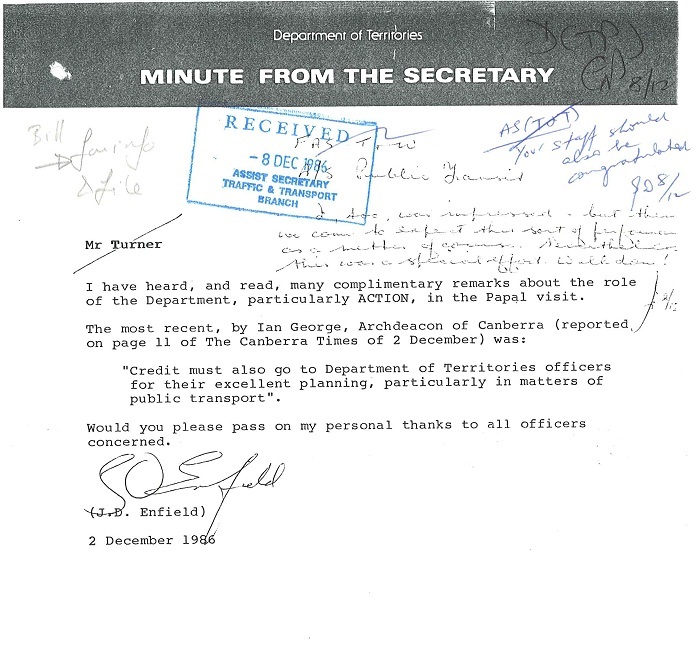 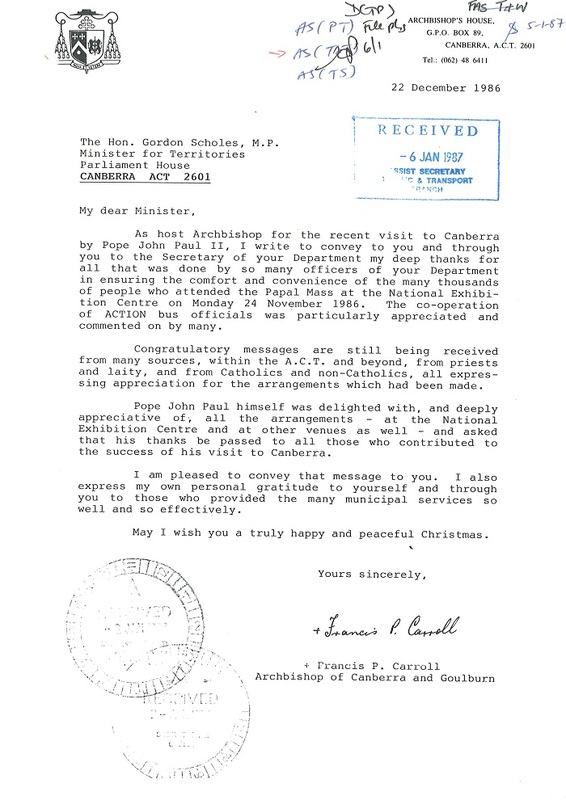 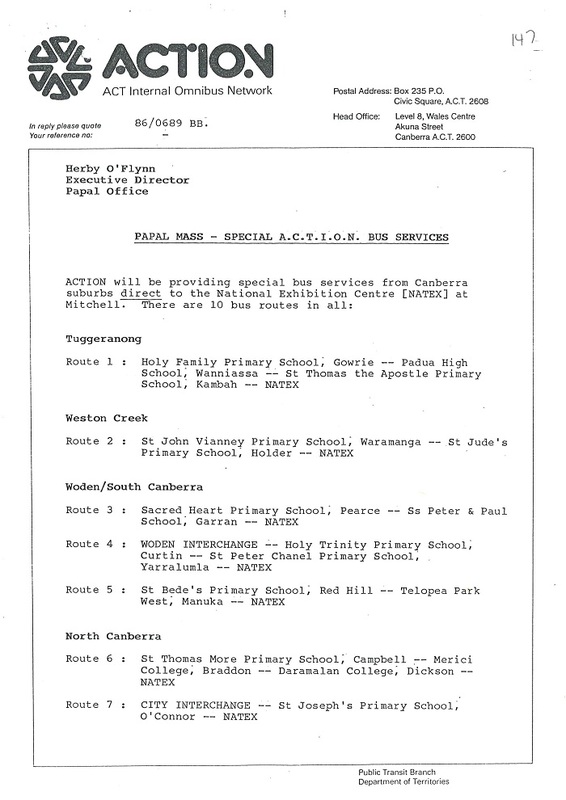 These files cover preparing the National Exhibition Centre to host the Mass, organising ACTION bus services from all parts of Canberra to transport an expected 25,000 passengers and road closures to ensure the Pope remained on schedule. 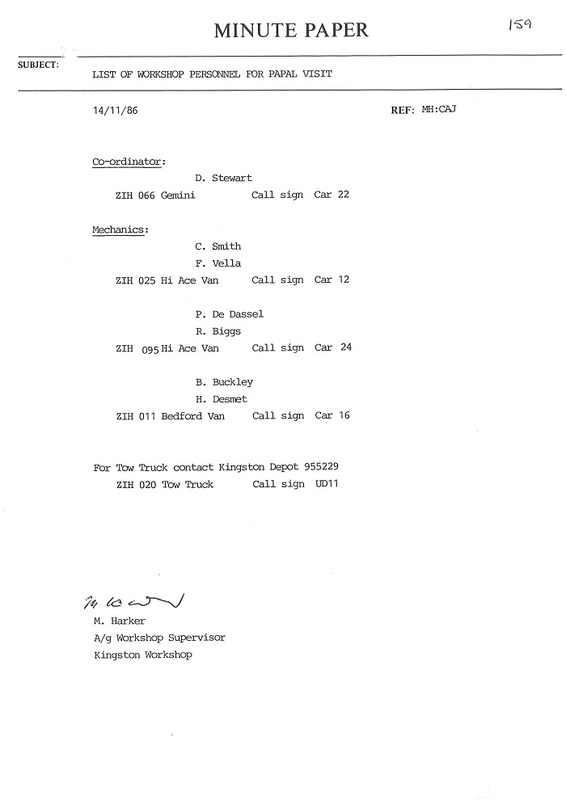 What follows are just a handful of the folios found on these files. 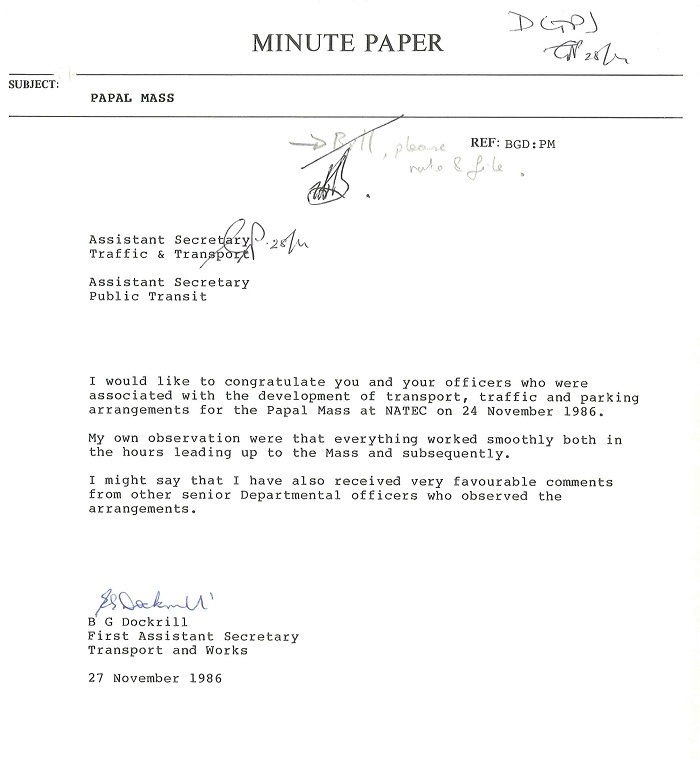 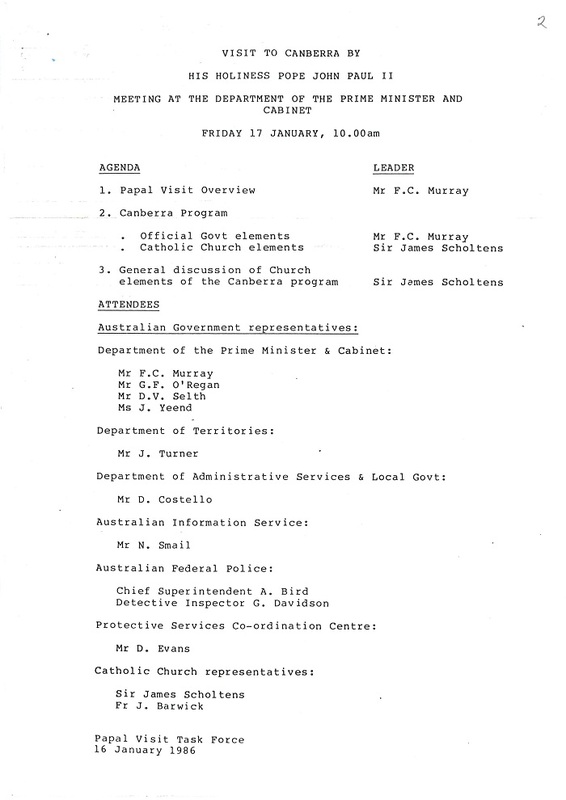 Preparations began in January 1986 with a meeting of the Department of Territories John Turner and other involved parties with representatives from the Department of Prime Minister and Cabinet. 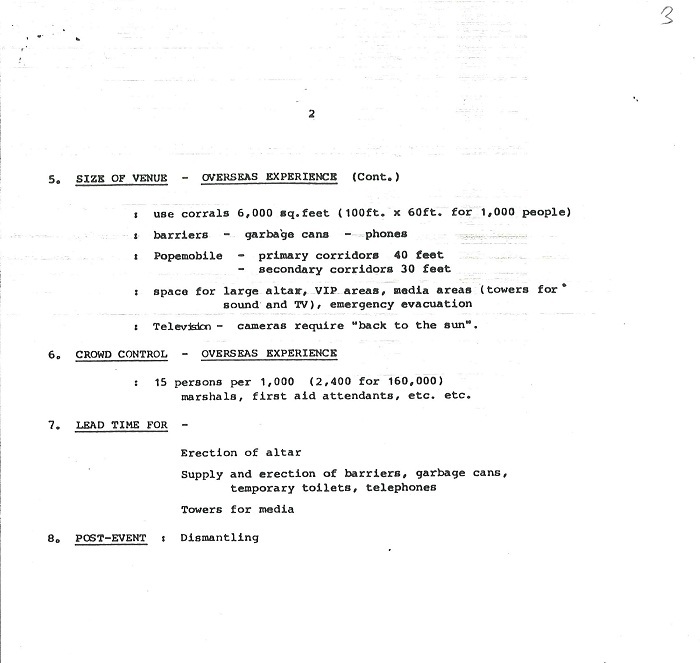 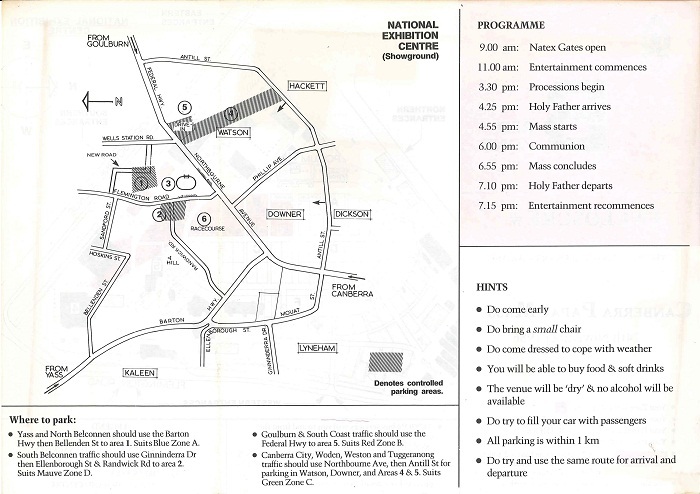 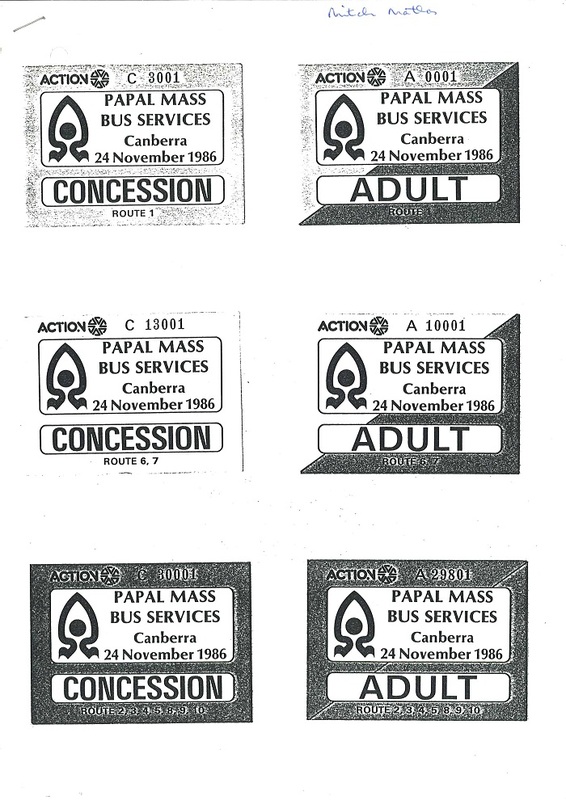 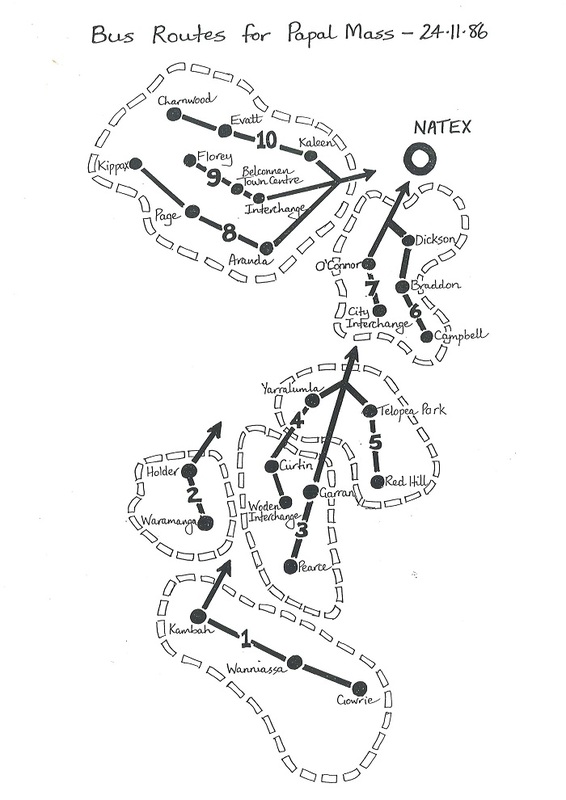 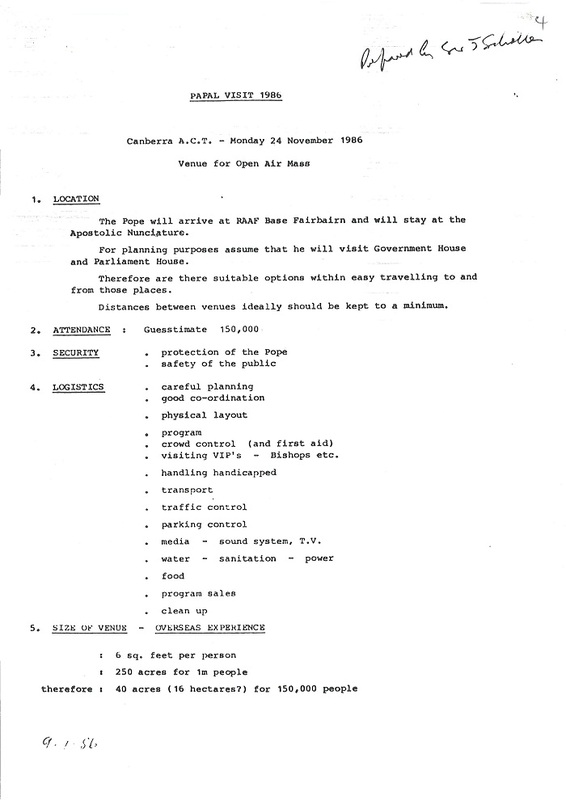 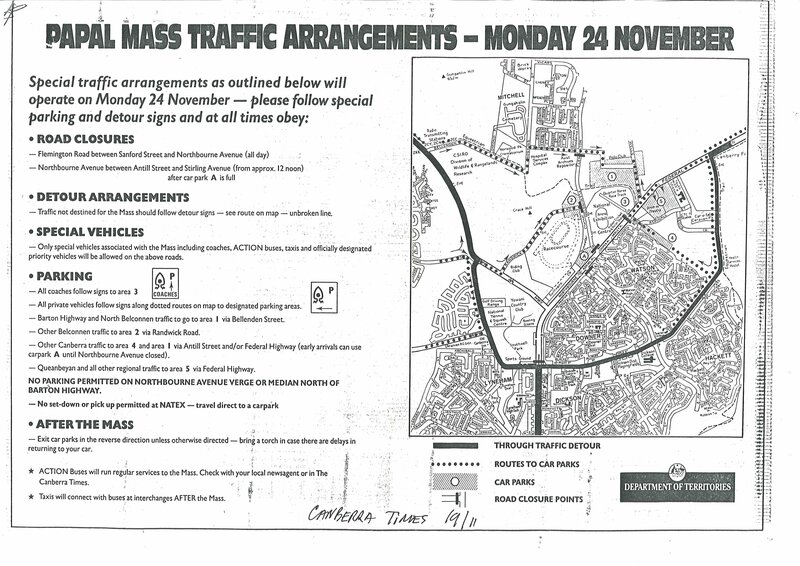 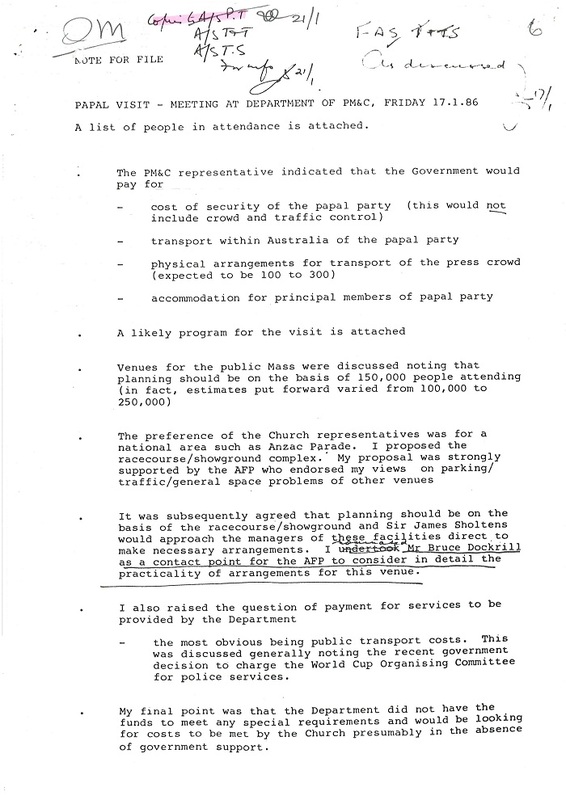 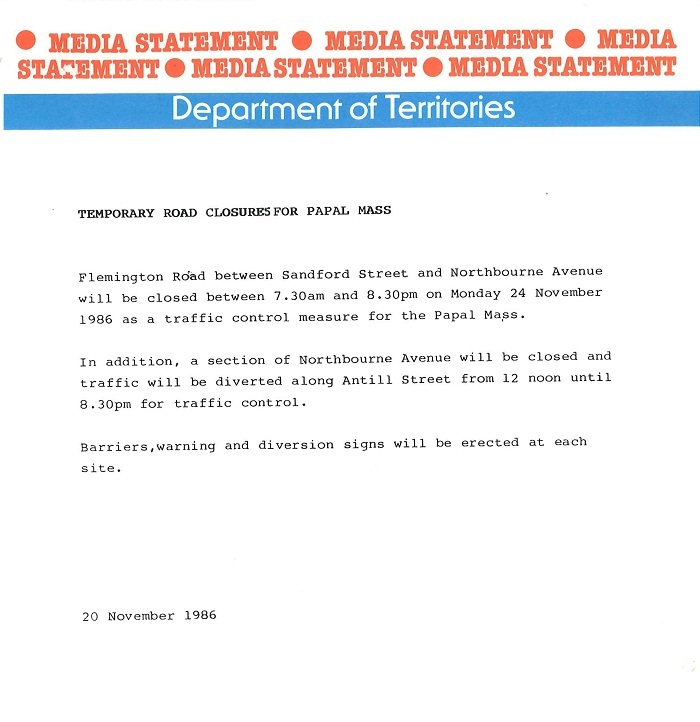 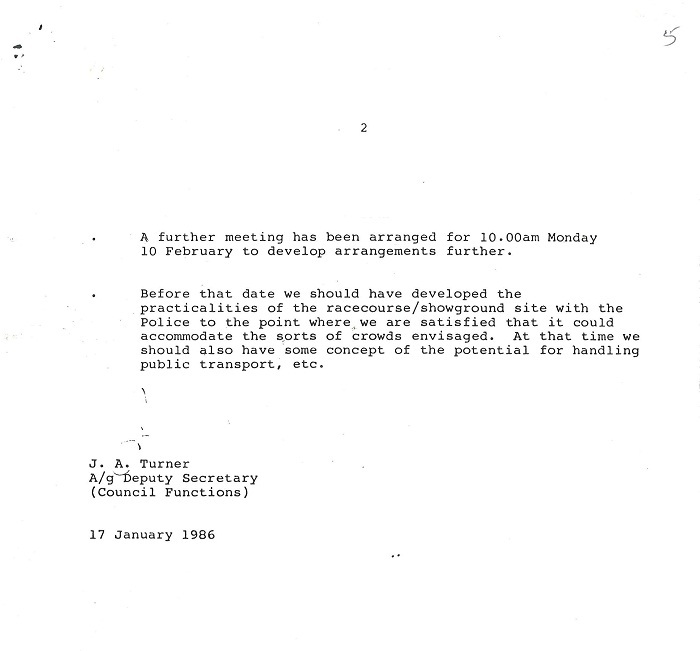 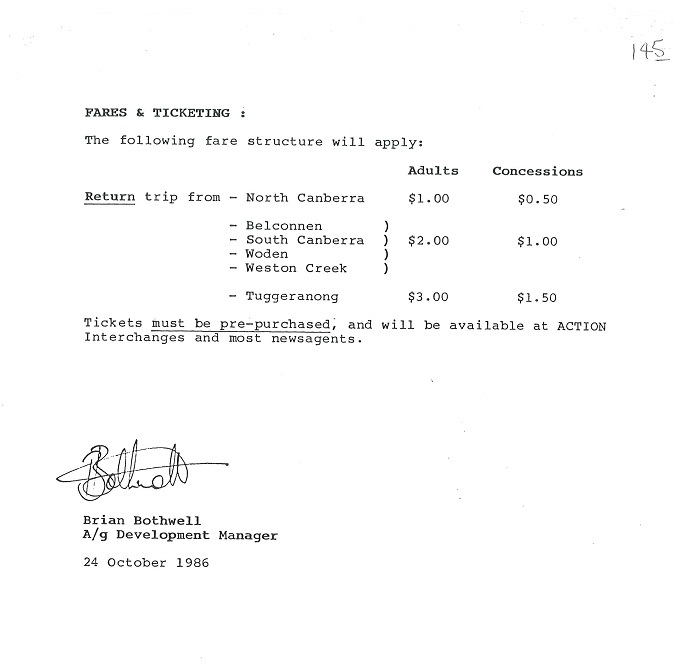 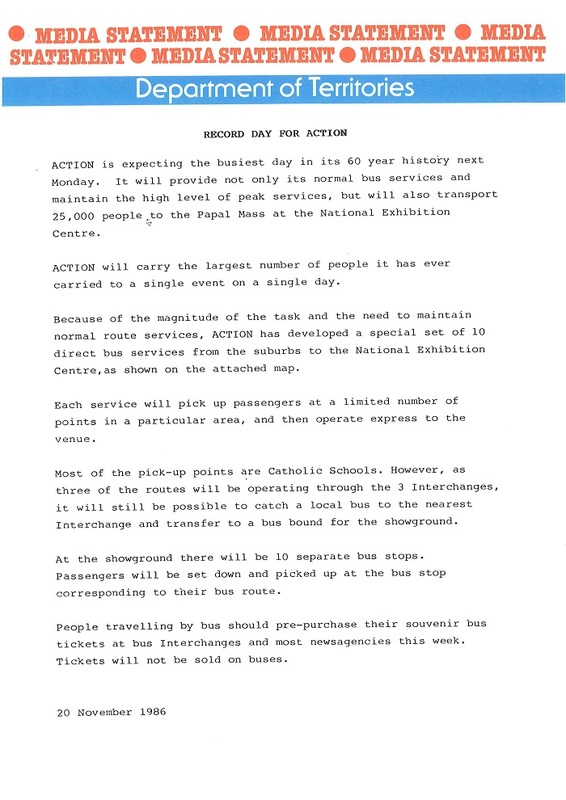 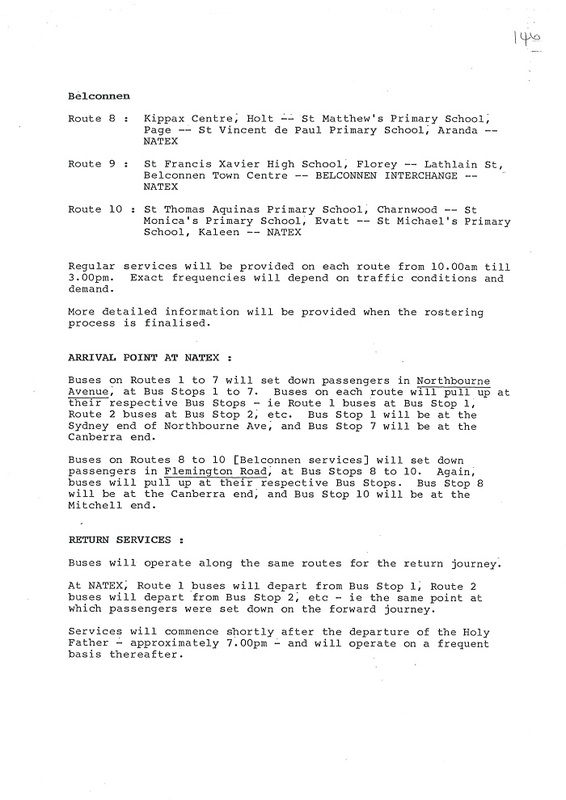 The following pages from the file '86/689: Bus Services for Papal Visit - November 1986' documents this meeting.